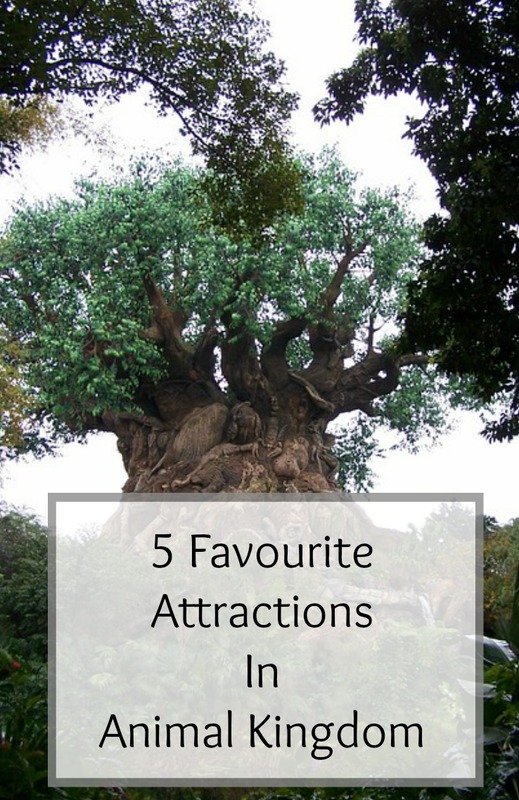 I’ve talked about my five favourite attractions in Magic Kingdom before on the blog, so I thought I would move onto another park and share my five favourite attractions in Animal Kingdom as well. Animal Kingdom is so big and has so much to do, just like Magic Kingdom, that I may struggle to pick my five favourite but the ones that stand out above the rest. I saw this show in 2014 when we visited for the first time as I was blown away by the quality of the thirty minute show. I have seen The Lion King in the West End, and Disney have done an amazing job with their version. I missed seeing it in 2016 as we were all tired on the day I had planned to see it, and I really regret not making the time now. I have a Fastpass for this year, which despite not needing a Fastpass as the theatre seats a lot of people, I know with a Fastpass we will get seats nearer the front. 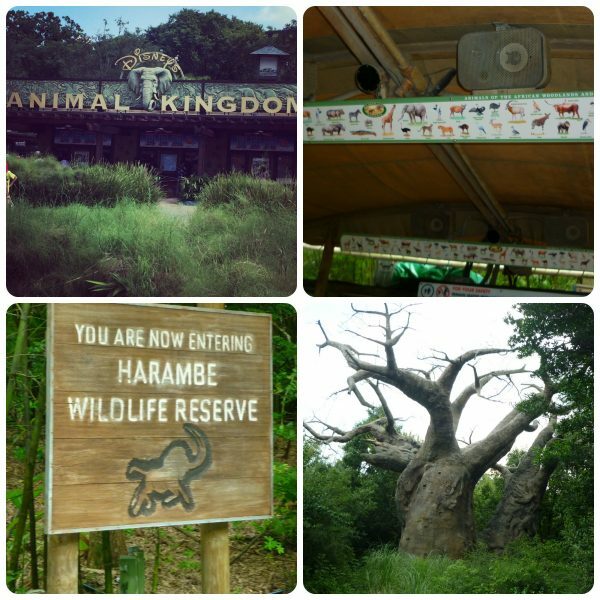 I love Kilimanjaro Safari in Animal Kingdom. Seeing the animals up close with great cast member drivers who provide a good show at the same time is brilliant. We have ridden the safari twice, both times in the afternoons when it’s said the animals could be quieter due to the heat. This year we will ride in the morning to see if there is a difference. The great thing about Kilimanjaro Safari is that no two times will every be the same. On a really hot day there is nothing better than a water ride. Kali River Rapids is a popular attraction in Animal Kingdom, and one we make sure we Fastpass every time we visit. A circular raft boat that seat 8-10 people, you will drift down the river, turn 360 degrees, slide down small rapids, and generally get wet from the water. How wet you get does depend on where you are sitting in the raft, and you have no way of knowing which seat will get you wet which is half the fun. A word of warning, don’t wear white shorts unless you are prepared to have see through shorts until you dry! I wasn’t sure if this would make my top five, purely because I have only ridden the roller coaster once. I decided to brave it in 2016, as did Abby, and we made it the first ride on our first day so we wouldn’t have to think about it too much. I remember thinking as we climbed the mountain at the beginning of the ride that this was going to be fun, but it was only as I realised that what went up must come down that my stomach started to lurch. Hubby filmed it, and Abby said she would never ride it again, but I had a smile at the end of the ride so I don’t think it scarred me forever. Wow just wow is all I can say about Flight of Passage in Pandora, the new section in Animal Kingdom for 2017. If you’ve ever ridden Soarin’, think this ride but on steroids. It’s amazing. You sit on bikes and the moment you the back of the bike secures you to your seat you know you’re in for a good ride. Swooping and soaring on the back of a banshee, the ride will take you and your stomach on an amazing thrill ride. It’s probably best not to ride just after you’ve eaten a big meal, or if you suffer from motion sickness. I don’t like going up or down too quickly, and I managed this ride with a few turns of my stomach. But I’m so glad I rode it!